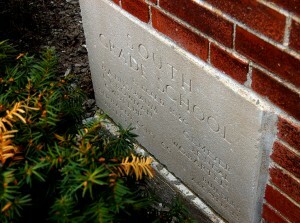 The cornerstone at May Greene School, at 1000 Ranney, near Fort D, reads South Grade School and says it was erected in 1920. The land was purchased in 1917 for $3,200. It was supposed to cost $55,000, but a special election had to be called in 1920 to vote another $35,000 in bonds to complete the building. It was dedicated in 1927, and eight rooms were added in 1927. 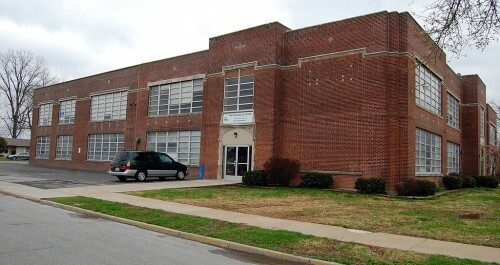 The school was named for May Greene, who taught in Cape Girardeau schools for 53 years. I wrote about Jefferson School earlier. There’s an interesting link between Jefferson and May Greene. In 1953, when schools in Cape were still segregated, black students attended John S. Cobb School. When it was destroyed by fire, the city fathers saw that integration was coming, so they moved the white students who had been at Jefferson down to May Greene. 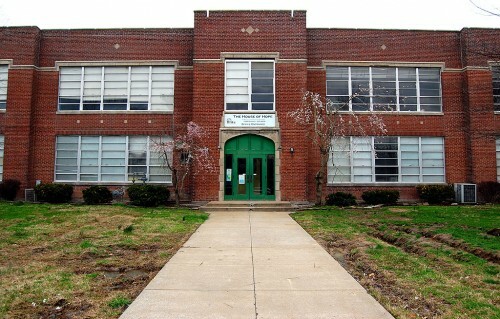 The black students attended Jefferson until the schools were integrated. 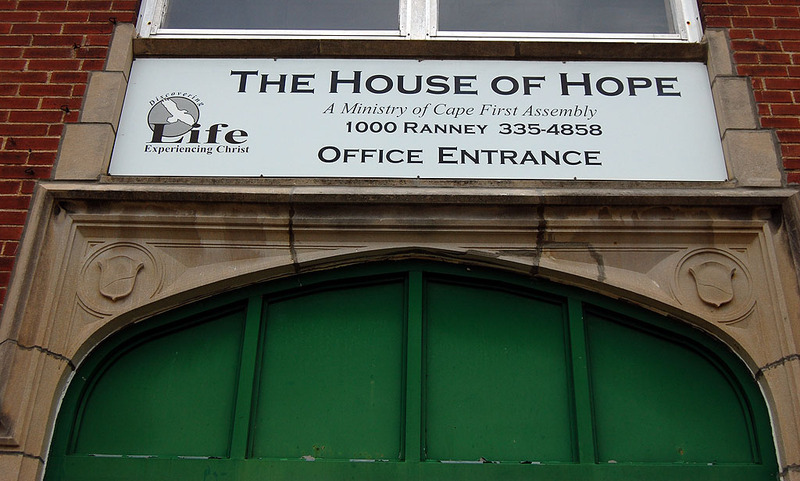 May Greene is now a mission church for the Cape First Assembly of God Church. You never know what you’re going to find when you start searching for info. 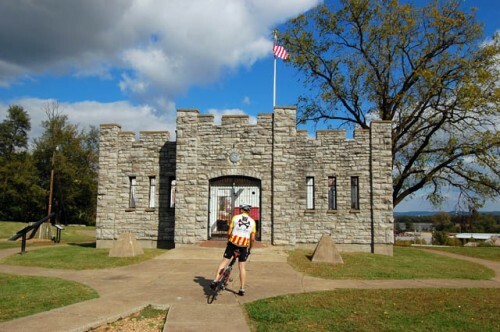 I started with Google, looking for May Greene School Cape Girardeau. One of the links took me to an obituary for a woman from Jonesboro, Ark. It turned out Margaret Sharon Manning Meyr had taught at May Greene and Franklin Schools. On closer read, I discovered she was married to CHS Coach Dutch Meyr. 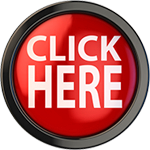 The link has some interesting photos in it. Ima Bird, who participated in the Federal Writers’ Project, recorded this interview with Mrs. Margaret Davis, 209 S. Lorimier Street, as part of the Slave Narratives. The report was written May 27, 1036. 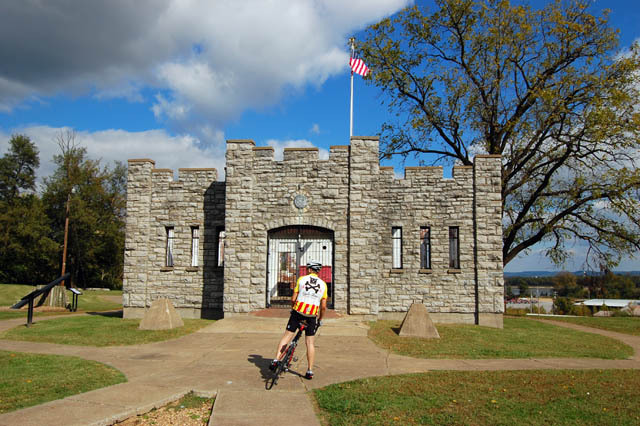 It has very little to do with May Greene School, but it’s too interesting not to include. She was hired out as nurse maid before she was ten years old–she stood on a chair to wash. She had done a washing the day I interviewed her. Her granddaughter teaches at Cobb School. Her father was offered $1000 by Gen. Scott and tried to buy his family from slavery but their master would not sell them–so he bought a farm. She remembers wading in the branch on William Street from Lorimier’s Spring with Doctor Maple’s wife. 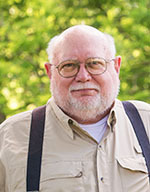 (Doctor Maple was a pioneer pastor of First Baptist Church at Cape Girardeau). There were fish in this branch. She went up to the courthouse and looked through the iron bars at him. 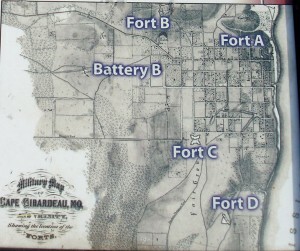 He was a Yankee soldier with Colonel Ross’s Regiment. She was always afraid to go toward the cemetery for fear of seeing his hat waving at night. “Right across” from Hirsch’s store there was a fort for light artillery tor emergencies. There was a company for every street as a guard. There was a camp near May Greene School. To punish soldiers who didn’t obey orders they bucked and gagged them. This was done if they didn’t get back to town on time. They were stretched out in the sun for hours. When Mr. Jack Painter died he had a chest out in the shed where he threw scrap iron. But after his death, money was found in the chest. His home was on the levee next to Dempsey’s Store on about where Albert’s Store is at 101 Water Street.